Paperbound is an indie game from Dissident Logic that we first played at the Seattle Indie Expo last year. Briefly, it's a fast-paced 4 player brawler built specifically for local play. It boasts a bunch of playable characters and crazy arenas for you and your friends to slaughter each other in. The arenas and many characters are inspired by books like A Book of Five Rings. Coming to PC and PS4 on the 31st of March, Paperbound is a smart, wacky brawler that will have you and your friends screaming with maniacal laughter. You and your opponents are storybook characters, forever fighting each other through the pages of classical literature. All of the characters and environments are beautifully hand-drawn. Diverse characters like Mumsy the cycloptic mummy, and Master Don the Elephant. Each character has their own look and style and when piloted by a bot, have their own personality and fighting techniques. 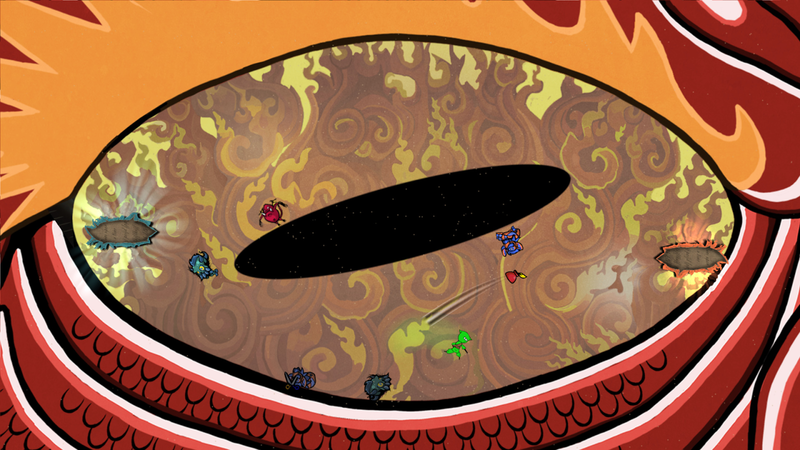 Based on A Book of Five Rings, this arena takes place in the eye of a dragon. Paperbound may appear to be an ordinary brawler, but it adds more than it copies from the genre standards. 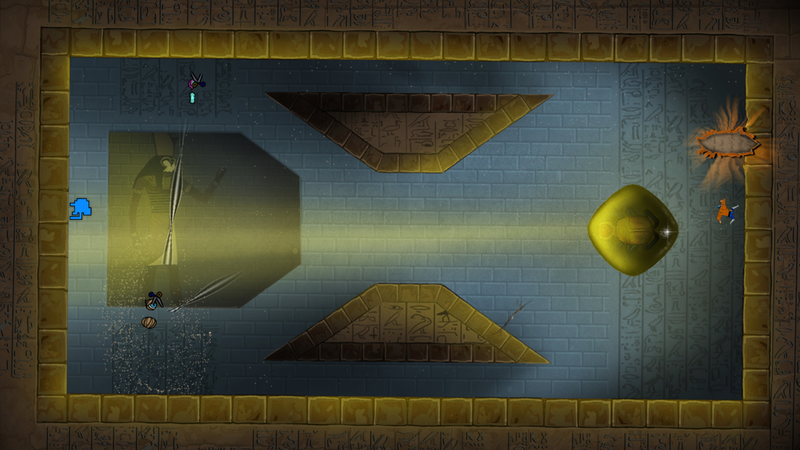 With a quick flick, you can invert the gravity for your character, sending them hurtling toward the ceiling. It's when you start playing with these mechanics that the pace of the game really picks up. There is nowhere in the arenas that you can't go. Within five minutes you'll be flying from wall to wall hurling scissors at your friends. After too many years of neglect from large developers, it's indie games like Paperbound that are bringing the fun back into the same room. As more and more people play games and play them together, it has been people like the team at Dissident Logic that have stepped up to fill the gap. 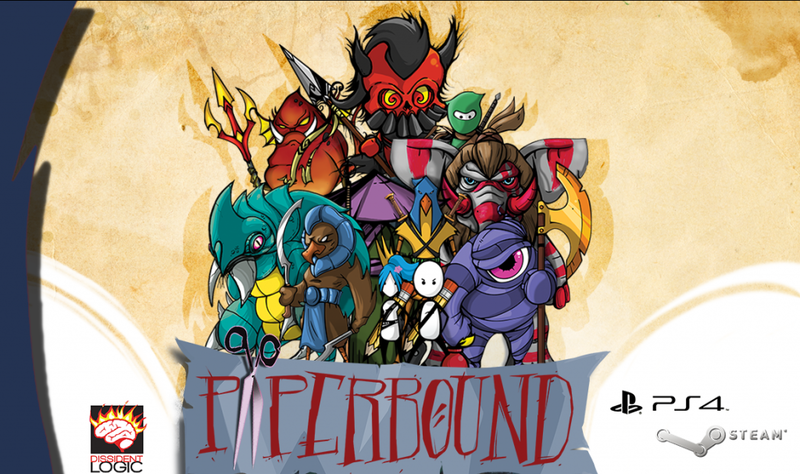 Look for Paperbound on Steam and PS4 on March 31st.